It’s very rare when I find someone that gets me excited about training. 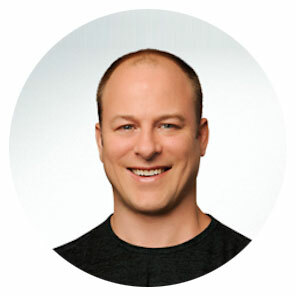 With over 13 years of personal and team training, strength coaching, and nutritional counseling experience Dr. Joel Seedman is the expert you want to hear from when it comes to muscle physiology, strength training practices and enhancing power and athletic development. I have been learning a lot from Joel and he is someone who helped me take my knowledge to the next level very quickly. If you want to know how to exercise in a way that will not only give you better results, listen as Joel uniquely explains some of the science and practical application of eccentric isometrics. Listen Now! From now until New Year's Day, your schedule will likely be filled with family commitments, traveling and festive outings with all sorts of tempting foods (my personal favorite is my dad’s stuffing). Every year I provide tips on how to stay in shape during the holidays but this year I really wanted to do something different and give you a holistic approach to staying fit for this season. In this episode, I will explain why people gain weight during the holidays and I will teach you effective ways to stay in shape while still enjoying the holiday season. Listen for more! We've heard it for years: “no pain, no gain.” It's a nice saying ... If “no pain, no gain ” is your motto at the gym, you could be setting yourself up for serious injury. On today’s episode of Legendary Life, Ted shares his personal tips on how he prevents injuries and improve flexibility, what techniques he has been experimenting with and currently use to improve mobility and build strength. Enjoy the show!